NBC is reporting tonight that the Water Protectors are vowing to stay, regardless of the order. There are several camps. The Sacred Stones Camp is south of the Cannon Ball River on Standing Rock Nation land. Oceti Sakowin, the main camp, sits on federal land. 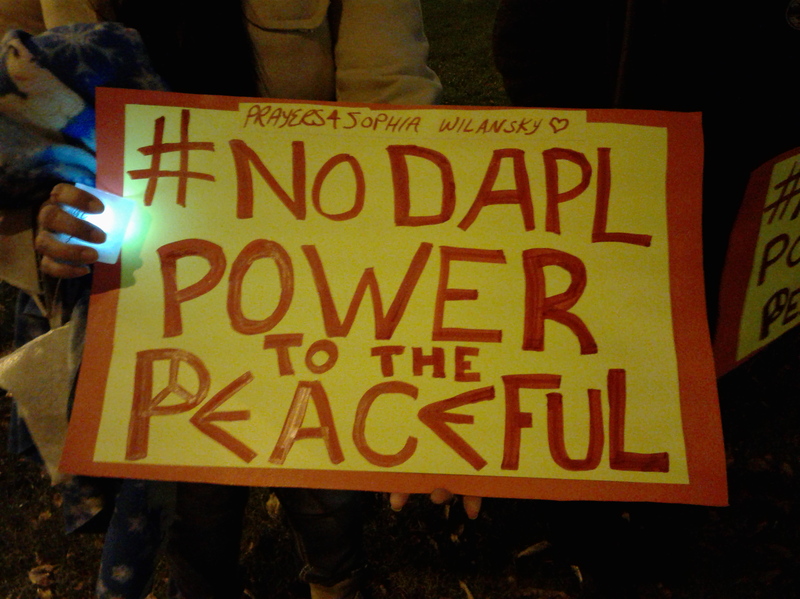 Until recently the federal government had given the Water Protectors a permit to be there. The Main Camp includes other camps, such as the Red Warrior Camp. In other words, in order to protect the public from violence, the federal government will force people off federal land rather than deal with the cause of the violence — overzealous law enforcement officials. The federal government’s decision to pull the Oceti Sakowin Camp permit, and the federal government’s inaction to intervene in the face of a disproportionate law enforcement response, is stunning. Sen. Cory Booker wrote a letter to the U.S. Attorney General Nov. 25 asking her to send monitors and investigate the situation. The Native American Rights Fund wrote a letter to the U.S. Attorney General on Nov. 23 seeking federal intervention and investigation into Morton County’s violent response to the water protectors. The Evangelical Lutheran Church in America issued a statement Nov. 14 by ELCA presiding bishop expressing support for Standing Rock. A UN Expert released a report on Nov. 1 on the “Conditions Surrounding the Dakota Access Pipeline,” which was reprinted Nov. 9 in Cultural Survivor. Thank you for this comprehensive update!